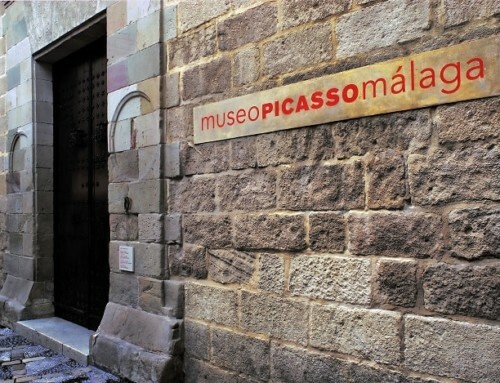 Discover the traditional products, dishes and hidden treasures of Malaga! Join us on a progressive wine tasting through the old town filled with an array of delicious food. Fill your belly while exploring the highlights of Malaga’s culinary and cultural treasures in a private setting. 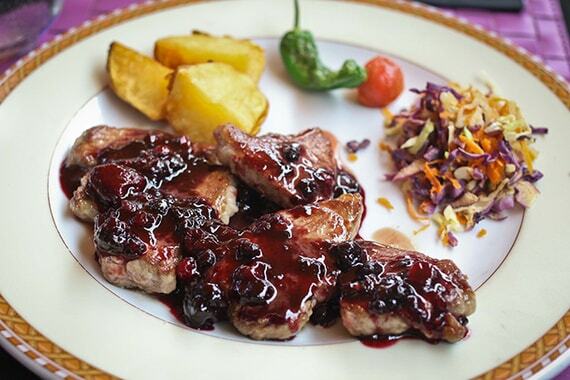 Discover how locals in Granada eat out and try some of the best foodie places in town. Enjoy delectable dishes and drinks as you learn about about the traditions and history that locals know about. Get to know Granada’s passionate flamenco culture, and taste some of the best tapas on this 4 hours Granada Flamenco and Tapas Tour! Join us for a fun and delicious evening and learn how Granada´s wine industry is making its way into the Spanish Gastronomic Scene! 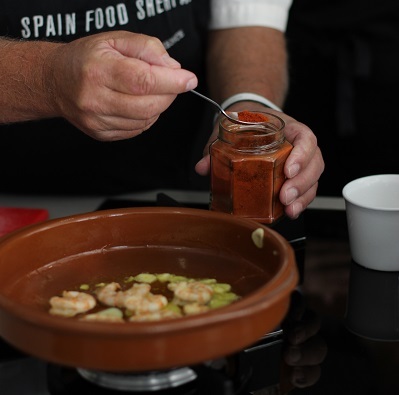 Learn to prepare some of the best traditional Spanish Tapas in this hands-on tapas cooking class. After the class, sit down to share the fruits of your labor with the group! 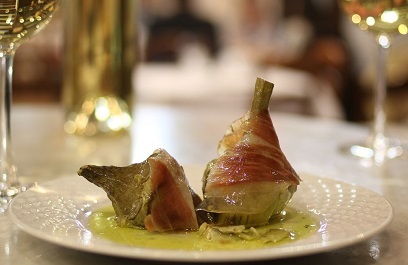 Join us and discover how to prepare the most iconic dish. From making groceries in the Atarazanas Food Market to savoring your very own Paella. An unforgettable experience! Whether it's a team-building event or a social activity, gather your family, friends and colleagues for a private cooking class at Spain Food Sherpa's Table. A small team of food lovers that wanted to reveal and share the hidden culinary and cultural treasures of our city. Nestled at the foot of a national park and a few kilometers from Nerja and the Mediterranean stands Frigiliana, the only town in the province of Málaga that is considered one of the most beautiful in Spain. Lets dive into its small streets and enjoy its gastronomy, discover its handcrafts, visit unique spaces, and possibly, stay there for good. We invite you to join us. Charo y Javier wanted to abandon the working life and stress of Madrid. They were exhausted and they knew that there were other viable options. She is from Seville and he, is half Swiss and half Spanish. 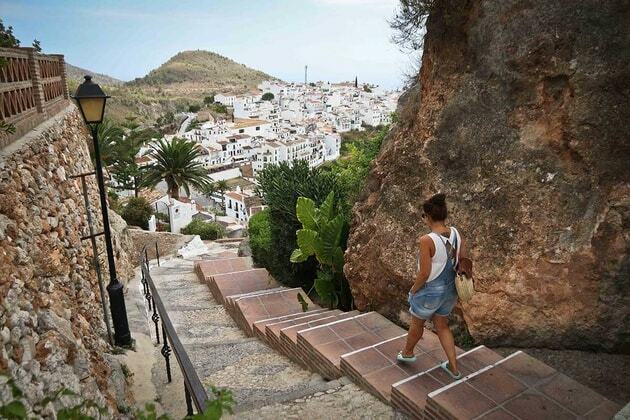 They ended up in Frigiliana: she had come across the town during a trip with her friends and could see herself living there. Today, they are the masterminds behind one of the best craft beers in Andalucía, La Axarca, with a mango aroma that adds to the amazing taste. They offer it in bottles and straight from the tap in their shop: La Domadora y el león, an old garage that has been converted into a holy beer ground. 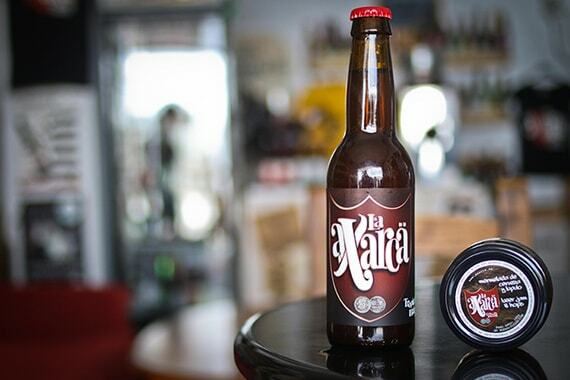 In addition to their own brew, they serve some of the best craft beers in Málaga and more than 200 national beers, along with some international ones, as they have also become distributors. 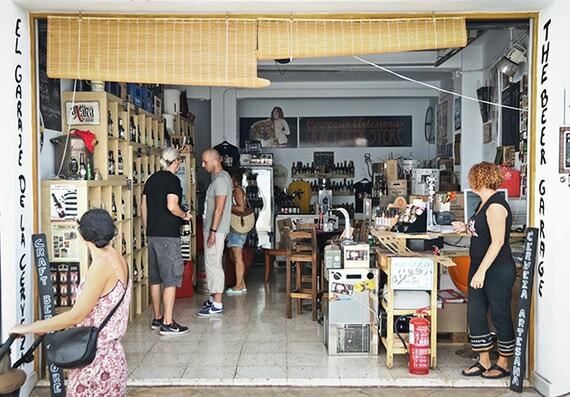 It’s a great place to discover other breweries like Destraperlo, Dos Mares, Bonvivant or Black Soul. They have recently put out an incredible beer marmalade that is perfect alongside a piece of goat cheese from Málaga. 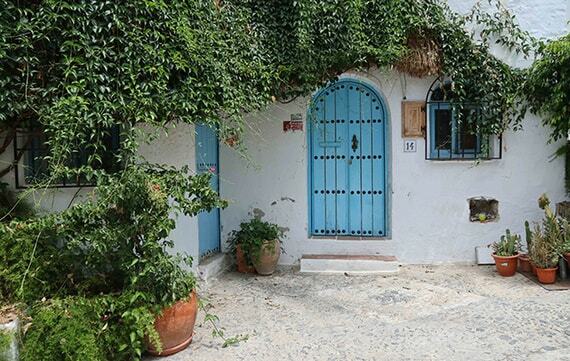 They are in love with Frigiliana because of its wetaher, its charming streets, its proximity to the beach (just 6 kilometers from Frigiliana to Nerja), its location at the foot of the mountains, and its history. The same reasons that will make you want to stay and live here as you pass through this amazing town in the region of Axarquía, Málaga. The only one in the province that is included in Spain’s list of most beautiful villages. Frigiliana is a small United Nations: one third of its three thousand inhabitants are foreigners made up of twenty different nationalities. One example of this is the churrero (a person who sells churros) of the town, Alexis, is cuban (it’s a total treat to see him create and sell his excellent churros that are popular even in the summer). The rich culture adds a certain cosmopolitan feel to the village and you can feel it while you order a couple beers at La Axarca: where a majority of its clients are foreigners. It’s even more noticeable when you pass through the small streets and you hear more English and German than Spanish. Walking through the village is a delight. Everything seems new, as if the village was just constructed yesterday: the streets are spotless, the houses have fresh coats of white paint and thousands of colored flowerpots in every corner. It seems as if all the neighbors coordinated so that their doors and shutters are painted a different tone of green and blue, which produces a gorgeous contrast against the white facades. 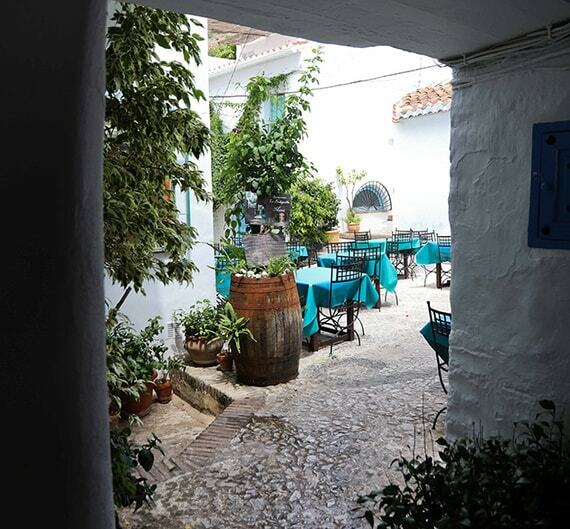 If you decide to keep exploring, you will find hidden corners, small corridors, slopes taken from past centuries and surprises among the streets that seem impossible to walk through, you will also encounter symbols with Christian, Arab and Jewish origins, all part of the essence of Frigiliana. The winding streets are speckled with small craft shops dedicated to straw, clay, crystal, and wool products, along with bars where you can cool off from the summer heat. In some of the shops you can pay in Axarcos, the local currency of the region. But, if you do not have any, there is no problem they also accept euros. The gastronomic star of Frigiliana is their sugar cane syrup: the old mill of Nuestra Señora del Carmen takes up a good part of the town. It is the only sugar cane syrup factory in all of Europe and it is sold in every corner of the township, and practically, the province. 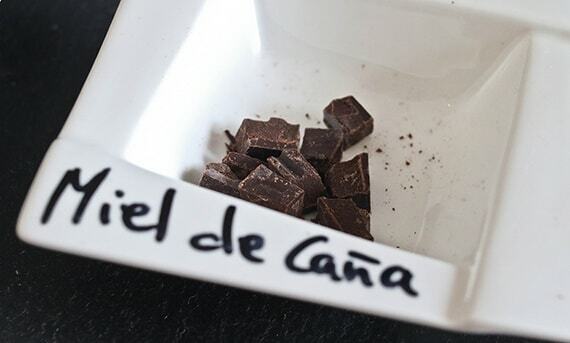 Their cacao minimum is 70 percent and their shop is on Calle Real Puedes, also, you will learn a lot about the cultivation of cacao and the process of making chocolate. Next to it you will find Faes, a small local shop where they sell the best cheesecakes of the town, along with teas and frozen coffee that delights many of the foreigners whose skin turns bright red with the first rays of sun. The winding steps and slopes in every corner makes it so hunger takes over quickly when you visit this town. 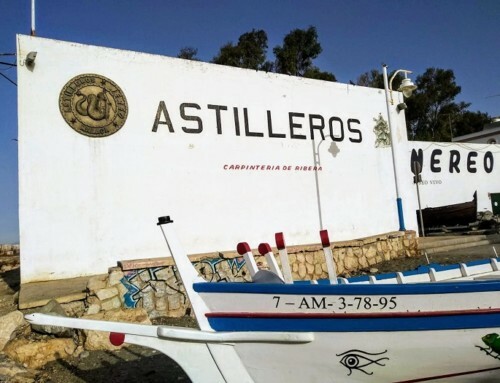 There are restaurants in Frigiliana for all palates: from small local shops like Al Fuente, run by a Dutch family; to El Lagar, where you can taste local products with a good wine from Frigiliana. Close to the church of San Antonio de Padua, La Bodeguilla is one of the most traditional places, with homemade options, a small terrace with beautiful views and a secret: you have to enter through the back alley of the church to discover a small, abundant, space filled with vegetation and tables with blue table cloths. Although the restaurant is open all day, in that hidden space of Eden they only serve dinner during the summer (during the day the sun is treacherous) and, without fail, the experience is always worth it. You can also approach the small but cozy terrace of El Adarve, another one of the best restaurants of the town. Juan Carlos Cerezo manages it and there you can try some of the best bites in Frigiliana. Lamb couscous or veal Goulash are two super interesting dishes they have, also you can cool off with porra from Antequera, lamb with honey and mint, Iberian pork glazed with a seasonal fruit sauce, roasted baby goat’s leg or various savory pasta dishes; and of course, some fried eggplant with sugar cane syrup. They have a varied wine list and a good range of artisan beers like La Socarrada, Rosita Ivory and Kettal Fanega, as well as La Axarca. Just a few meters away, The Garden restaurant has a large salon and tables out in the open air with beautiful views of the village and the Mediterranean Sea. Their whole menu is appetizing: Grilled lamb with hummus, babaganoush and arabian bread; beet curry with coconut milk and licorice served bread, yogurt, and homemade chutney; Grilled goat cheese with onion confit and sugar cane syrup…. as well as other options for salads, fish and delicious desserts. During the summer the heat can be suffocating in Frigiliana, but its proximity to the Parque Natural Sierras de Tejeda, Almijara y Alhama makes it so, that every once in awhile, clouds appear that sooth the sun but they don’t leave you without plans: they stay there and don’t reach the coast. 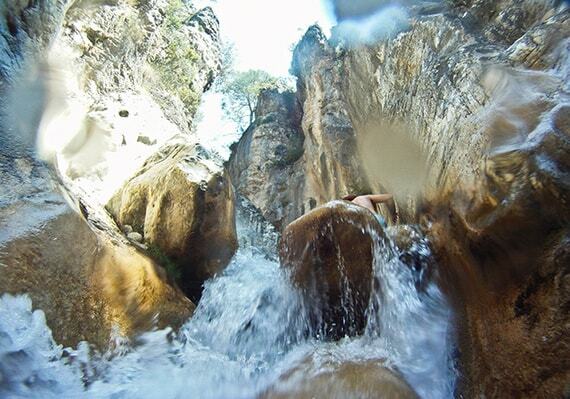 So you can enjoy a refreshing swim at the beaches of Nerja, specifically in the cliffs of Maro, where you can find a series of coves filled with natural life in between blue and transparent waters, a rarity on the coast of Málaga. For the freshwater lovers, another option would be to cool off in the Higueron River, one of most interesting river routes in the whole province of Málaga.The river route starts in between avocados and mango and continues through oleander, honeysuckle, pine and palm hearts through the heart of the national park. The riverwalk parts from the center of Frigiliana, on a path well marked next to the Civil Guard quarter and continues on by the river until the so called pool of Batan: a raft of water with turquoise waters where swimming is not allowed. There is no reason to worry, a few minutes after walking past it, you will be rewarded with several pools of refreshing water. And, unlike the nearby Chillar River (where during the summer there are days where the path looks like a processional), this route is much quieter. So, you will only come across small groups of mountain goats that are easy to spot in this mountain range. 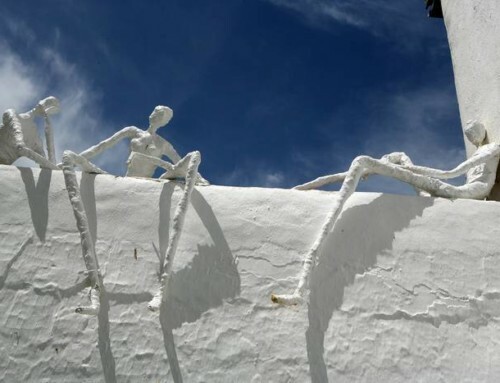 What’s also revealed is the journey to El Acebuchal that is found on the road that connects Frigiliana with Cómpeta, another precious white town of Axarquía. 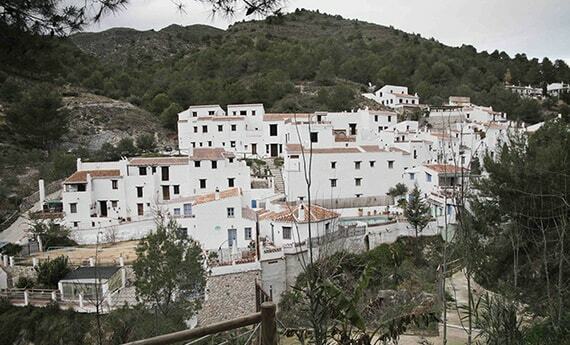 It is an old village that was dislodged by the Civil Guard in the 1940s and has been recently restored. Today it is a group of dream houses framed by a dense pine forest where you can easily see squirrels running around on branches and magnificent mountain goats camouflaged in between the trunks. Some houses are for rent (with two swimming pools, one indoor and one outdoor) and with beautiful surroundings, in this area there is no cell phone service so it can be a great space to disconnect for a holiday at any time of the year. 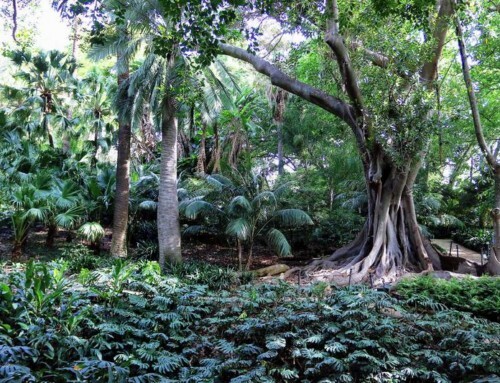 From there, you see a path that leads to the “undoable” peak of the Swan, only meant for experienced and daring hikers. If you are not into hiking, do no worry, the trip to El Acebuchal allows for you to enjoy one of the best restaurants in Frigiliana. It has the same name as the village and there almost everything is homemade: from the bread that they bake every morning (with rosemary, black olives or dark beer) to the products from the family garden or the amazing desserts. It is run by the Garcia Sanchez family, who are also responsible for the rebuilding of the town between the years of 1998 to 2005 which respected the original architecture which they achieved by using old photographs -most of which are hanging in the salon of the restaurant- and knowledge of the locals. It wasn’t until they opened the restaurant, that you could try hunted meats, delicious stews and a certain dish called Huevos a la flamenca, all which have a certain touch of Moorish cuisine with the use of spices and fried almonds. Every day they offer a special dish that is not on the menu: this summer they have options like melon soup with crumbled ham and mint or organic chicken with mushrooms, shitake and bacon. You can try these dishes in their small dining room or on their unique terrace. They also have a variety of great wines, and of course, La Axarca. It was there that Manu Chao tried that beer, last year he passed through El Acebuchal before taking part in the Festival 3 Culturas, that happens in August. 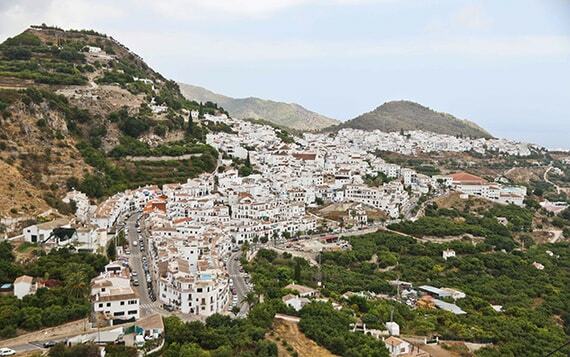 It is a perfect reason to visit Frigiliana, the whole town and thousands of visitor’s head to the streets to enjoy a medieval market, exhibits, performances and concerts. The musical line up consists of groups that bring together the three cultures, and for this summer, the festival will host small town bands like the Portuguese Kumpania Algazarra and the Romanian Fanfare Ciocarlia, who will have everyone dancing with their music. There will also be the circus group Granadina Vaiven and, there will multiple gastronomic options and they are planning on serving over 25,000 tapas in four days. Another reason to go visit (or live) in Frigiliana. Will you join us? English version of the article “Frigiliana, ¿el pueblo más bello de Málaga?”, written by N. Sánchez / Spain Food Sherpas for traveler.es (25/08/16). You'll get Spanish recipes,the latest Malaga food news, local tips and special discounts on our tours and cooking classes!